I love this linky party and, really, I should partake (more than just reading!) every week because I always have a bunch of random things by the end of the week that wouldn't equal a great blog post alone, but, put together, they would be at least OKAY. So, here is my first Five for Friday entry! I hope you will let me know if you enjoy it and then maybe I'll participate on a more regular basis! Okay, so I've been out of school for a little over a week and I have already begun my planning, orchestration and preparation for next year. This is nothing new for me, I constantly have my job and creating on the brain because I LOVE it and it completely and totally fulfills a piece of me that can always use filling up! She did this project last year and it hung on her welcome window all year...it was sooooo adorable. I can't wait to see my son hanging there this year. Click on the picture to find the clipart if you are interested in this project as well! Also, stay tuned to see her ideas and classroom fun on the screen, as her blog is being developed as we speak! Pin it so you'll remember to do this special end of year gift for your kiddos next year..VERY inexpensive and much loved by all of them. What eles have I been busy with (besides playing, riding bikes, swimming lessons, golf lessons and whatever else 2 little boys need to be doing on the first days off of summer)? 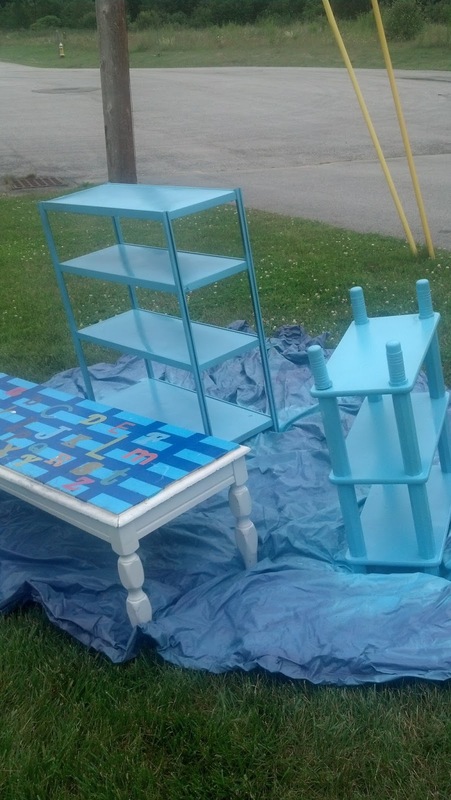 My classroom is going to be all greens and blues (cool, calming colors, of course), so that meant painting, painting and, well, more painting (and more pics to come of finished projects)...it is AMAZING what a can of spray paint can do for a blah shelf! Wait until you see the finished products! I am sure you've heard, but, just in case you haven't, the Freebielicious girls are doing a book study with anyone and everyone who wants to participate. 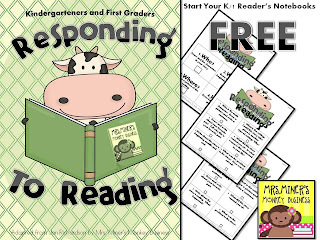 Click on the picture for my first chapter post and a link to a pretty cool (well, if I do say so myself) freebie to start your reader's notebooks off right in kindergarten or 1st grade! I have also revamped an old product that I will be using aGAIN next year in first grade. 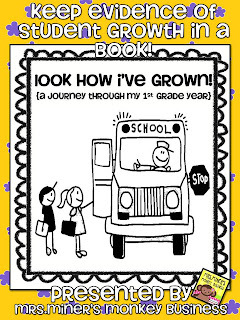 It is a journal that tracks the students' progress of drawing, coloring and writing on a monthly basis. My students always look forward to completing this journal (all put together and ready to go at the beginning of the year) at the beginning of every month! I will be writing a post sometime this weekend to explain it more and to give you a freebie that goes along with it. But, for now, you can read more about it by clicking on the picture! Like you, I am moving to 1st grade after spending many happy years in Kindergarten. 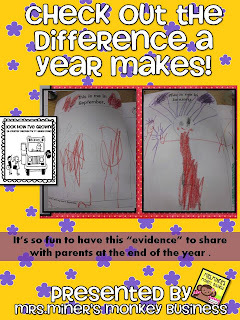 I enjoyed using your products while teaching K, and looking forward to tweaking them for 1st! And yes, I'm feeling like the first year of teaching is upon me again! Good luck on your "promotion" and how neat that your son will be next door! Ah...the thinking and the projects! I'm doing the same right now. I am waiting for a chair to dry so I can put a coat of paint on it. Making a "pinteresting project"! I'll post it on FB sometime so you can drool over it! I'd love to get together with you sometime if you're not too busy! Hi Krissy - I love the colors you chose for your classroom, it will be calm and cool and beautiful!!! I moved from kindergarten to first grade last year and LOVED it! Enjoy your transition!! After spending 10 years in kindergarten, I moved to first grade last year. I love it!! My room also is in blues and greens!!! I LOVE it!!!! I also love your blog! I would love for you to follow my blog on bloglovin and enter my giveaway! Your five for five on Friday were great! I loved it! I am going to first grade for the first time next year! Yeah for Mrs. 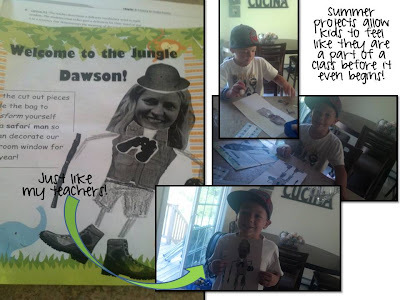 Miner's Monkey's in first grade! Can't wait to hear all about it! I love your greens and blues!!!! I'm doing something similar with my new room. Looks great!!! It seems like so many teachers are moving to 1st with me this year! I'm sure it happens a lot, but, of course this is the year I am, so I'm noticing and hearing about it so much! I love that there is a "cohort" of us who can collaborate and work through all of this together in a sense! Kim, Can't wait to see your chair...for school or home? I want to paint one that I saw on Pinterest, too...that'd be too funny if it was the same one! Thanks to everyone for stopping by and commenting! I thought the Five for Friday was kind of fun for the first time! I had to move to 1st (two different times) unexpectedly at the last minute. It's WAY better when you get to CHOOSE to move:) Good luck!